Bookings under the 7-day sale can be made till August 27, 2017 via web and the AirAsia mobile app, AirAsia India said. AirAsia India is offering all-inclusive tickets starting at Rs 999 for select one-way flights under a limited-period promotional scheme. The scheme requires flyers to make advance bookings and "fares are not available during embargo period", AirAsia said on its website. Called "7 Days of Mad Deals", the offer is applicable on travel from February 26 to August 28, 2018, according to the AirAsia India's website. Bookings under the 7-day sale can be made till 27 August 2017 via web and the AirAsia mobile app, it noted. 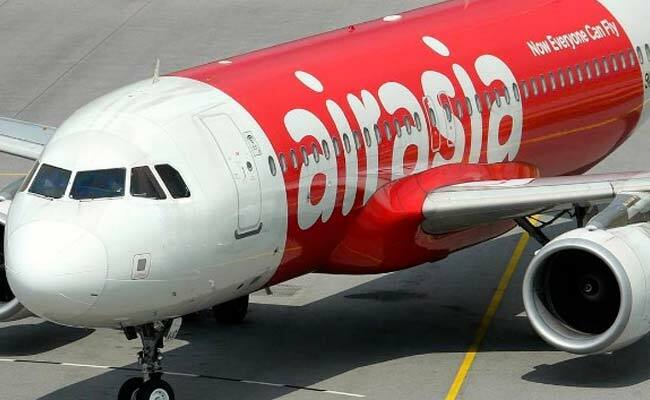 Without divulging the total number of seats offered under the scheme, AirAsia India said: "Seats are limited and may not be available on all flights...Valid for new purchases only." AirAsia India was offering tickets starting at Rs 999 for flights between Kolkata and Bagdogra, according to the AirAsia website. 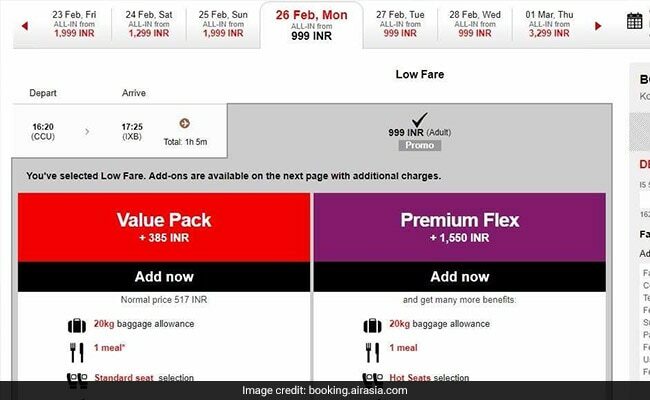 A search on the AirAsia bookings portal on Tuesday showed tickets for a flight from Kolkata to Bagdogra were available for Rs 999. "Fare includes airport taxes (except for selected airports where airport tax is collected at the point of departure)... All fares are quoted for single journey (one-way) only," AirAsia added. Also under the promotional scheme, the airline was offering tickets starting at Rs 1,099 on routes including Bhubaneswar-Kolkata, Goa-Bengaluru, Guwahati-Imphal, Hyderabad-Bengaluru and Kochi-Bengaluru. Some other special fares included Rs 1,499 for flights on the Pune-Bengaluru and Visakhapatnam-Bengaluru routes. AirAsia India is a joint venture between Tata Sons and Malaysian carrier AirAsia. Meanwhile, AirAsia was also offering select international flights starting at Rs 3,399 under the promotional sale. Flights to Kuala Lumpur from Kochi (Kerala) and Tiruchirappalli (Tamil Nadu) during the same travel period started at a price of Rs 3,399, the portal showed. Also, flights from Visakhapatnam or Vizag to Kuala Lumpur started at Rs 3,599. Flights from Kolkata to Bangkok-Don Mueang also started at Rs 3,599, it showed.